Do you wish to shine brightly in the engaging field of content writing? Are you hoping to get jobs in freelance content writing? Are you looking for talented writers across the country to write an exciting and quality article for you? Well, now you don’t need to spend a hefty amount of time browsing opportunities online. The Internet is a vast marketplace and there are loads of websites offering your needs in contents, but they are time-consuming, lacks a number of options and face issues with the payout. Contentmart is your one-stop solution to all your content needs. When you run a blog and need articles for the same, you cannot take up all the writing work yourself and still maintain all other issues related to the website. Outsourcing some of your blogs to the community of talented writers can be a very healthy option. Contentmart is that community or platform that features talented writers from all over the country hoping to shine brightly in the freelance writing industry. Most often the freelance writers here and there lose out on the job, but with contentmart, you have multiple options of talented writers all ready to work for you at pocket-friendly rates. Before digging deep into the working of the website, let me brief you out what the website is all about. It is a platform for writers and clients to meet each other and exchange jobs. There is a huge number of 50 thousand plus writers available in the network and also 65 thousand plus clients who are posting jobs on a regular basis. This wide platform serves the need of each and every type of content needed. While choosing to engage with Contentmart all you need to do is specify whether you are a client who will be posting jobs or a writer looking for jobs. This marketplace has verified writers, authentic clients and trustworthy services to cater all your content needs. You can shape up your financial stability in no time if you have that passion for writing and diligence and hard-work. As a writer looking for a job, Contentmart has loads of opportunities for you. It is an amazing platform to find clients on a regular basis and make a name for you as a content writer. All you need to do is register your name under “writer” and fill out the required information. There are few levels of expertise like standard, experienced, verified and handpicked. While you can up your level from standard to experienced to verified through grammar tests and completing the bio page, the handpicked section is solely on the contentmart team and depends on your delivery and completed orders over time. The grammar test can be taken as many times you wish and it certainly adds you an extra edge over the rest. There is a dashboard featuring “all orders” for you to choose from various clients. As a writer, you can specify your own quotations and choose from wide options of works available. You will be charged 20% of the gross amount you are taking out. 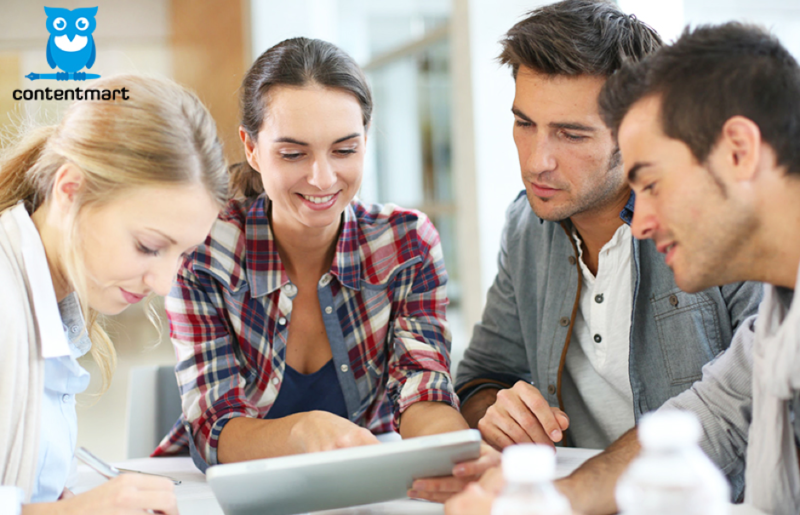 The payout procedures are hugely reliable and secure and are very easy to use as well. 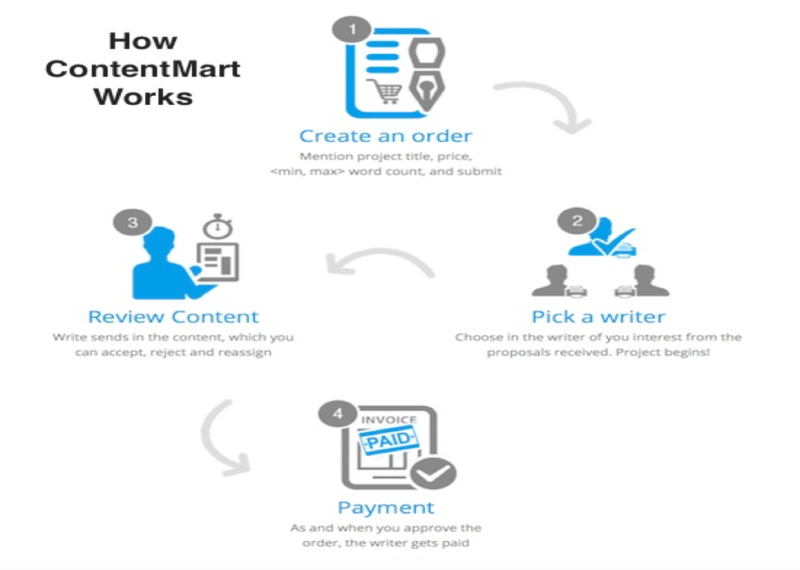 If you are enlisting as a client in Contentmart, you certainly will have a very different experience from the other options available on the internet. Though the idea of Contentmart is already explored by many famous websites but they still have their own originality and it very well makes them stand out from the rest. As a client, you do not need to link your debit card or credit card for payment options. At first, you need to sign up as a client for the website and your journey further will be smooth and reliable at the same time. Following sign up you need to click on the “New Order” segment and follow the instructions. In no time your order will go live to the huge number of talented writers waiting to work for you. Your order will receive bids from all the interested writers and in this bid section, you can choose the writer you wish to work with. As the writer you chose submits you the article, you will have to review and approve it within 5 days, if you do not wish to reject it. 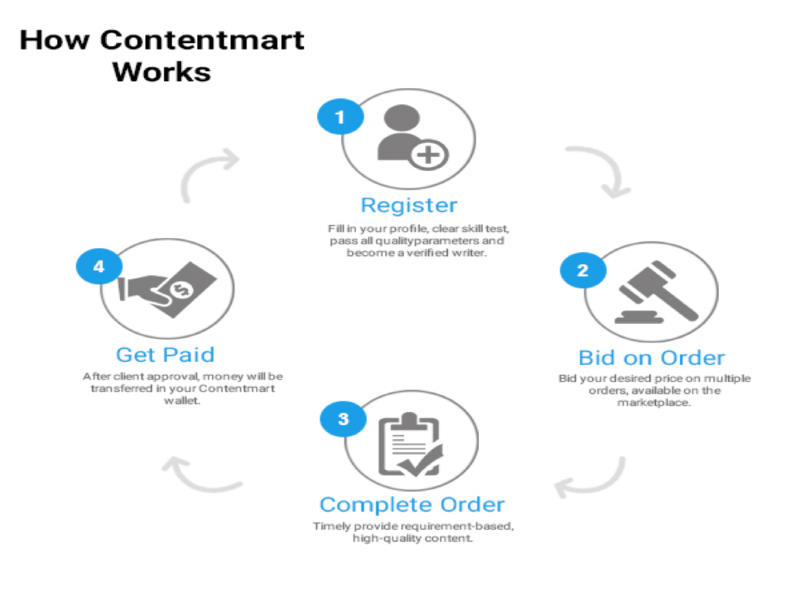 While there are a number of websites catering the same type of needs, contentmart is smart, reliable and is very easy to use. The user interface is very exciting and gives speedy responses to your inputs. The team is always ready to help you whenever you feel the need and the payment gateways are secure and reliable as well. The featured writers are talented and as a client one can always toggle between the huge number of writers available. Contentmart is the only freelancing website that is exclusively dedicated to writing jobs and the way this website is gaining the popularity, it has a long way to go.